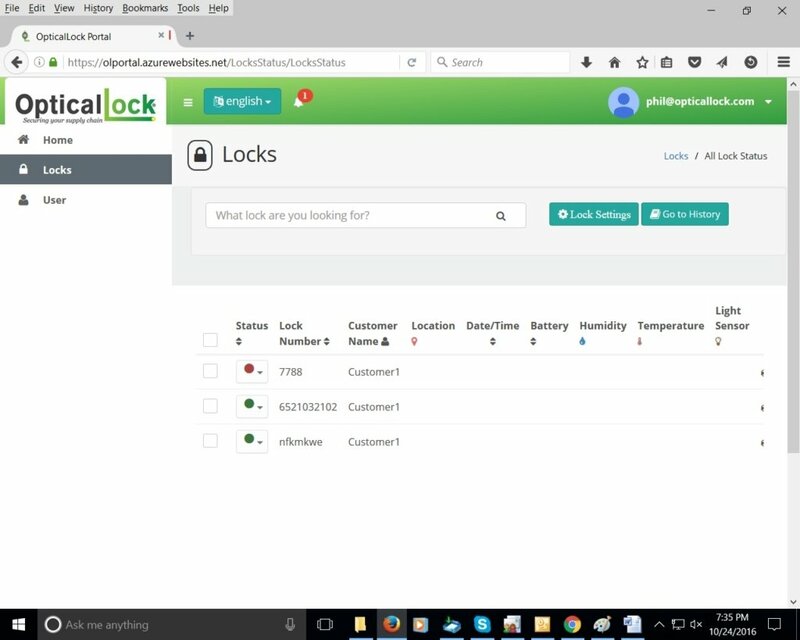 OpticalLock Management Software is a robust, cloud-based application for complete management of your lock inventory. Our management and GPS tracking software is provided on a software-as-a-service (SaaS) model and requires only a web browser for an authorized user to access the application from anywhere in the world. Our management software stores all pertinent data generated by your OpticalLock hardware and is built on a powerful enterprise-grade SQL database hosted in the AWS cloud. The Home Screen provides a quick overview of your system and serves as an easy access point to drill down for detailed information on your users, lock inventory, tracking information and security settings. 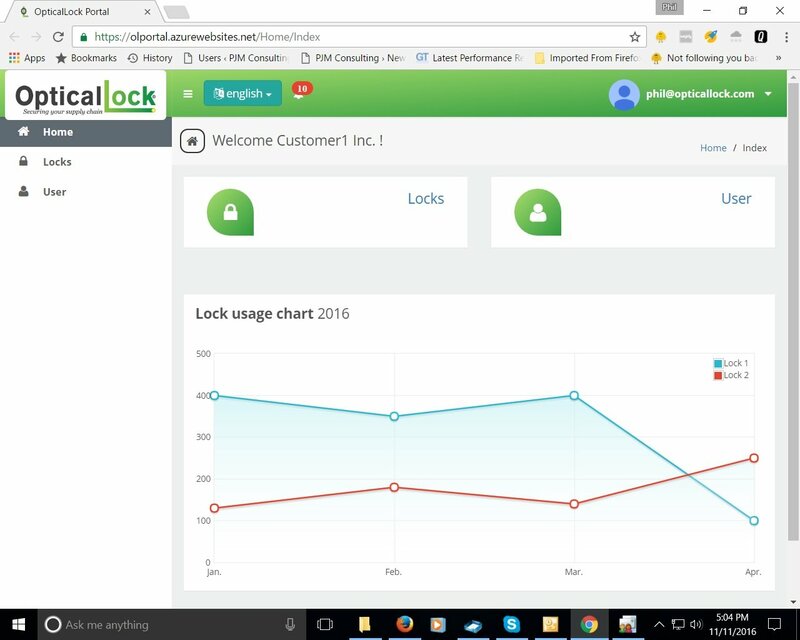 The all lock status report screen provides a rich array of real-time, historical and planning data critical to the efficient movement and security of your high value goods.